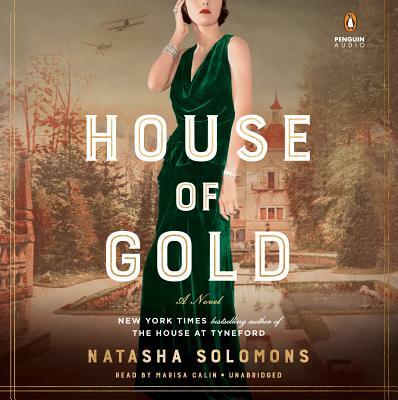 From the New York Times bestselling author of The House at Tyneford, an epic family saga about a headstrong Austrian heiress who will be forced to choose between the family she's made and the family that made her at the outbreak of World War I. The start of a marriage. The end of a dynasty. It's 1911 and Greta Goldbaum is forced to move from glittering Vienna to damp England to wed Albert, a distant cousin. The Goldbaum family are one of the wealthiest in the world, with palaces across Europe, but as Jews and perpetual outsiders they know that strength lies in family. At first defiant and lonely, slowly Greta softens toward Albert, and as the wild paths and untamed beauty of Greta's new English garden begin to take shape, so too does their love begin to blossom. But World War I looms and even the influential Goldbaums cannot alter its course. For the first time in two hundred years, the family will find itself on opposing sides, and Greta will have to choose: the family she's created, or the one she left behind. A screenwriter and novelist, NATASHA SOLOMONS lives in Dorset, England, with her husband and two children. She is the New York Times bestselling author of four novels, including The House at Tyneford and The Song of Hartgrove Hall.